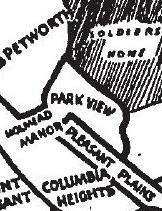 Volunteerism | Park View, D.C.
Next Park View Cleanup This Saturday, October 6th! Georgia Avenue Thrive will hold their next neighborhood cleanup this Saturday at 10 a.m. beginning at the corner of Georgia Avenue and Irving Street. Volunteers will receive free stainless steel straws, thanks to District Bridges. They’ll also debut 10 new, top-notch trash pickers, thanks to a generous donation from DC Reynolds, a wonderful friend of the community. 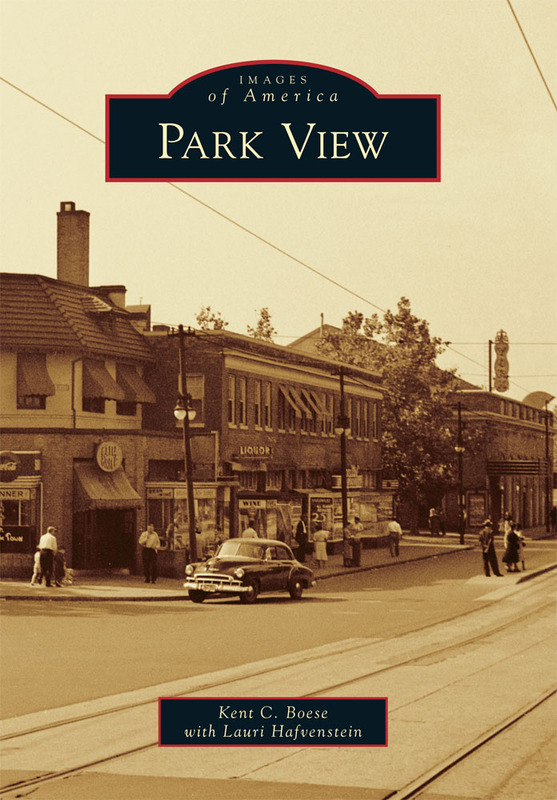 Next Park View Cleanup is Saturday, September 1st! Georgia Avenue Thrive will hold its next Park View cleanup at 10 a.m., Sat. September 1st at the corner of Warder Street and Park Road. 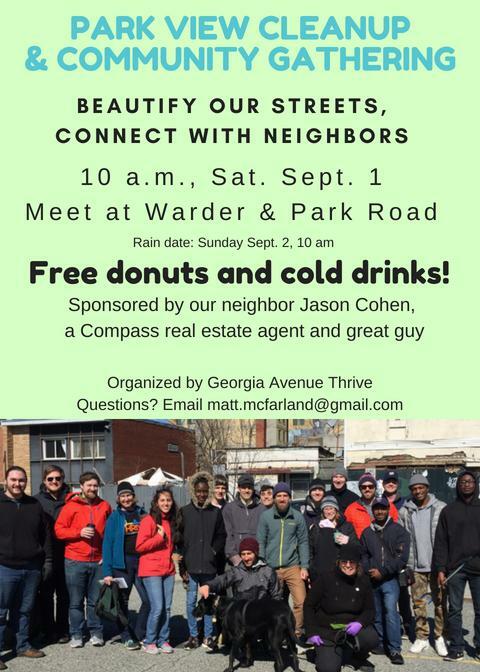 Park View neighbor Jason Cohen, a Compass real estate agent, will be thanking volunteers with donuts and cold drinks. Georgia Avenue Thrive’s cleanups, a monthly tradition since March 2016, have been recognized by Mayor Bowser. “Your good work is key to keeping your community safer and stronger,” she wrote in a recent letter recognizing Georgia Avenue Thrive. This is a good opportunity to meet neighbors and keep the neighborhood littler free. Georgia Avenue Thrive will hold its next cleanup at 10 a.m., Saturday April 7 at the corner of Georgia and Newton. This months community partner is Yoga Heights which will be giving a free class for the first 30 volunteers who donate 90 minutes of their time! 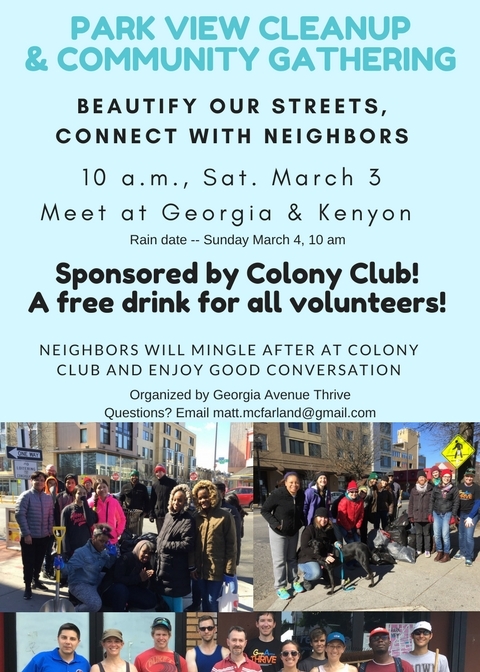 Immediately following, volunteers can mingle and enjoy good conversation in the neighborhood. This is Thrive’s latest community get-together, a great opportunity to connect with neighbors. Thrive’s cleanups have been recognized by Mayor Bowser. “Your good work is key to keeping your community safer and stronger,” she wrote in a recent letter recognizing Georgia Avenue Thrive. These cleanups are successful in large part due to the commitment of neighbors who come out every month to make Park View a cleaner place. This latest event should be no exception. Georgia Avenue Thrive will hold its next cleanup at 10 a.m., Saturday March 3rd at the corner of Georgia and Kenyon. Immediately following, volunteers will meet at Colony Club for a complimentary drink. This is Georgia Avenue Thrive’s latest neighborhood get-together, a great opportunity to connect with neighbors. To celebrate the two-year anniversary of Thrive’s cleanups, they’ll debut their new, fancy trash-pickers, and professional-grade gloves. Recently, I learned about Wreaths Across America, which each December on National Wreaths Across America Day, participates by coordinating wreath-laying ceremonies at Arlington National Cemetery, as well as over 1,000 additional locations in all 50 U.S. states, at sea, and abroad. The even this year is scheduled for Saturday, December 16th. Volunteers can participate in one of two ways. The first is by buying a wreath, which costs $15, to be placed on a veterans grave. The second is by volunteering to help place the wreaths at the cemeteries. While the most well known cemetery is Arlington, there are many cemeteries that participate and many of them don’t have enough wreaths or volunteers to go around. One of those cemeteries is at the Armed Forces Retirement Home (Volunteer or support a wreath here). In checking out the details of the Soldiers’ Home wreath laying event, as of this this writing, there a total of 2,662 wreaths currently committed for 14,000 veteran graves. I think we can do better. Details about the event is below and can also be found here. Please join the young women of the DC metro area American Heritage Girls as we lay wreaths at US Soldiers’ & Airmen’s Home National Cemetery (DCSAHN) to honor and remember our deceased heroes. Please do not forget to register on the US Soldiers’ & Airmen’s Home National Cemetery (DCSAHN) to receive updates about the cemetery itself. We will begin the ceremony at noon. Plan to arrive in time to park. When you arrive, please gather around the flag pole for the ceremony. Wreaths will be laid directly after the ceremony is over. Please follow the instructions by volunteers on where to place wreaths, as well as “how” they should be placed. We especially appreciate volunteers willing to help clean-up. Cleanup day will be in January. Georgia Avenue Thrive’s next community cleanup will be this Saturday, December 2nd beginning at 10 am. Neighbors will gather at the corner of Georgia and Irving, by the Park View sign. 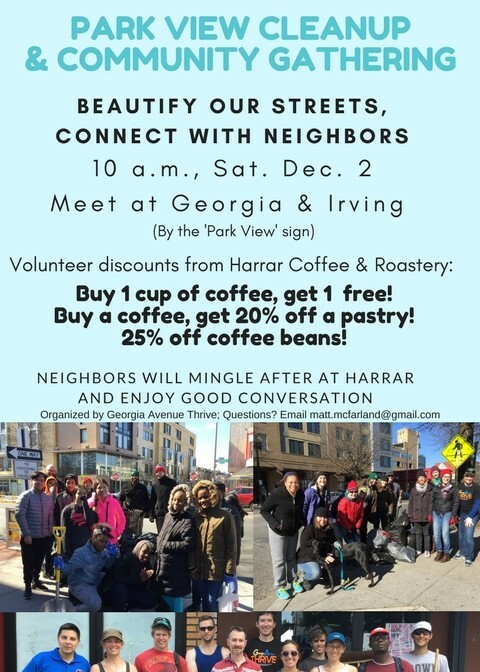 Immediately following, volunteers can head over to Harrar Coffee & Roastery for special deals and great conversation. 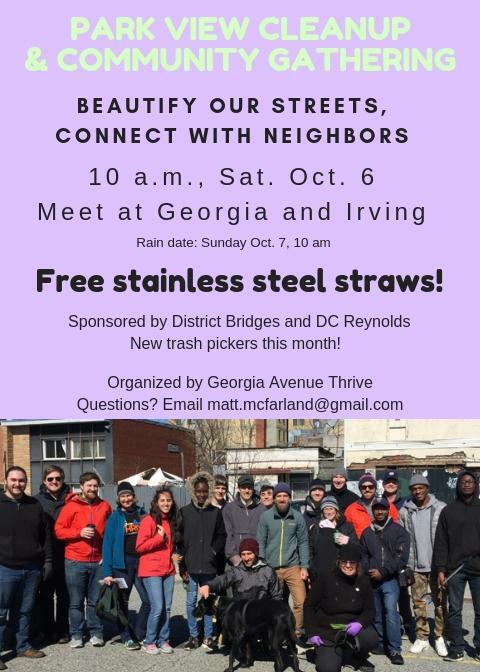 Georgia Avenue Thrive is holding its next cleanup on Saturday Oct. 7 at 10 am. at the corner of Georgia & Newton. volunteers the evening of the 7th for a discounted price of $4. Also, the Park View UNC is co-sponsoring this month’s cleanup with Georgia Avenue Thrive.